The Texas Wine Lover website has the most original content on Texas wine of any currently active website. This is in large part because we have reliable writers in each part of the state that can be contacted for events, marketing, or reviews. In all the years of writing, we have written thousands of articles and have had thousands of comments. In addition, the website has the most up-to-date list of Texas wineries including a winery map, which is consistently used by visitors of Texas wineries. vineyard listings and map, including an individual page for each vineyard with its information is available. Other original content includes audio featuring Texas wine industry professionals, videos, and more. For the latest in Texas wine stories and keeping up with our burgeoning industry, you simply have to check out: txwinelover.com. The stories are always current, fresh, and most importantly…fun. Jeff and his staff are thoroughly entrenched in what’s happening around this great state from festivals to growers to wineries, and the stories are always written with such positive, creative flair that you’ll want to go visit whoever’s being written about. From the established, down to those just getting started, you’re going to want to read what’s happening via txwinelover.com. The website draws both consumers and wine professionals making the website the ideal place to advertise. As you can see, Texas Wine Lover is more than a blog, as it truly is the premier website for Texas wine news and information. We have the following size ads available in pixels: 300×250, 728×90. 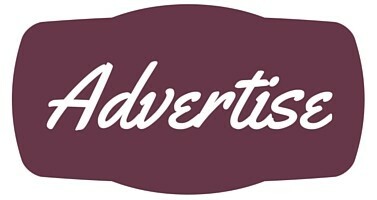 The ad locations are such that they do not interfere with the reader finding content. This also keeps the reader on the website looking at other pages and since they are viewing other pages, there is a better chance of the reader seeing more ads. Texas Wine Lover also offers advertising that includes sponsored posts, post blurbs, emails, social media, etc. to include whatever will help your business the best! If you are interested in one of our many advertising options, please fill out the form and we will send it to you after you verify your email address. We look forward to working with you! If the form does not work, please email us at info (at) txwinelover (dot) com to receive the advertising package.